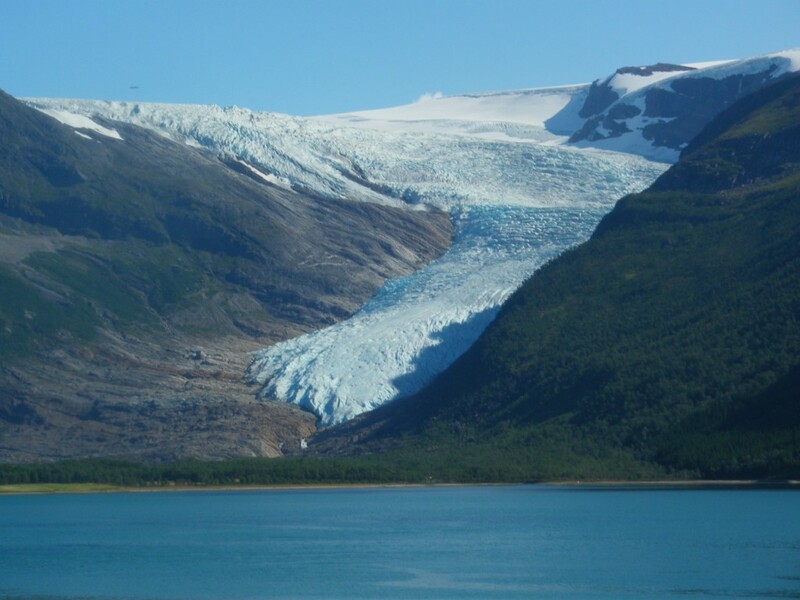 Engabreen is a northern outlet glacier from Vestisen (western Svartisen ice cap). Its area is 36 km2 (2016). 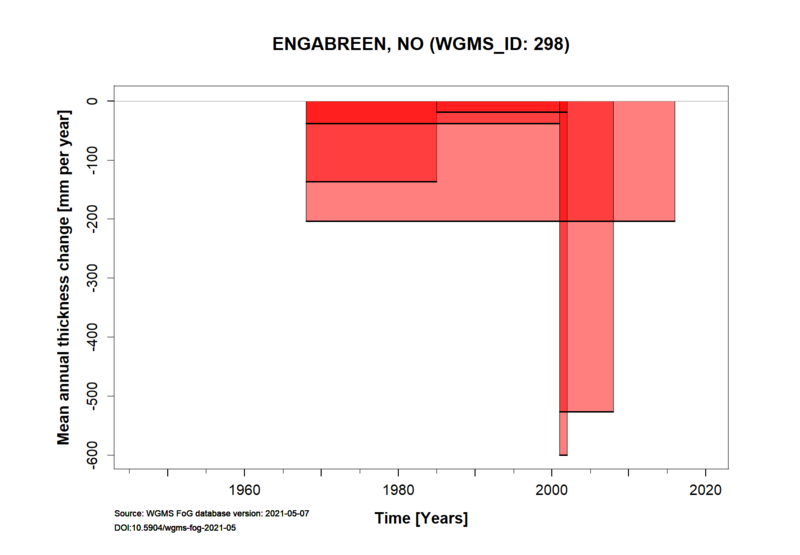 Engabreen has the lowest glacier terminus in Norway and reaches almost down to Engabrevatnet at 8 m a.s.l. 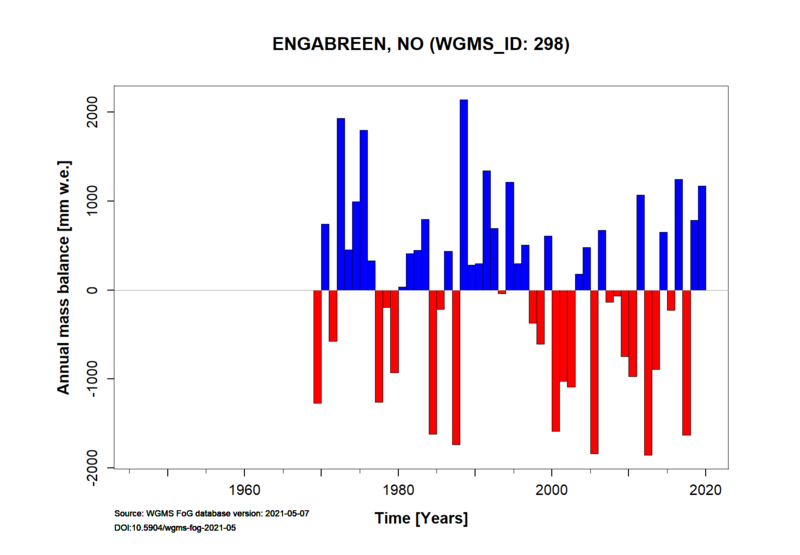 Glaciological investigations include mass balance observations since 1970 and glacier length change measurements since 1903. 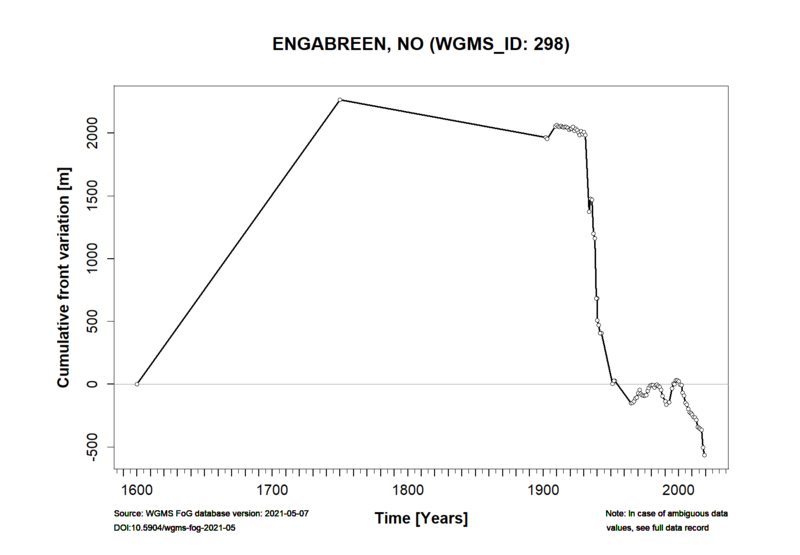 Further information and references for Engabreen is given on NVE’s webpage. Height min: 111 m a.s.l. Height max: 1544 m a.s.l.